Seaweed in skin care, it can go really well or really bad for me personally. Carrageenan is an especially controversial seaweed that is extremely prevalent in both food and skin care products in the United States. Unfortunately, I’m severely allergic to carrageenan and it gives me life-threatening allergic reactions. Also known as chondrus crispus or Irish moss, it can be hidden in ingredient lists everywhere so I have to avoid it in food and beauty products at all costs. Carrageenan is a seaweed by-product used to thicken and stabilize products, often used as a plant based gelatin substitute. In the context of skin care specifically, carrageenan can be found in just about every product category. I’ve seen it in serums, scrubs, masks, moisturizers, and cleansers. It’s a tricky ingredient to track down, but here are several skin care and body care products containing carrageenan. I wanted to make a list if you’re also trying to avoid it, since I had an overwhelming response to the list of food and beverages I’m avoiding. Here is the list by brand based on current ingredient information. This list has taken me months to compile because I’ve either used or stumbled upon the above products and have since removed them from my routine. My skin is extremely sensitive so reading ingredient lists is the first thing I do when considering anything new. I hope this helps anyone also suffering from allergies or sensitivities to carrageenan. 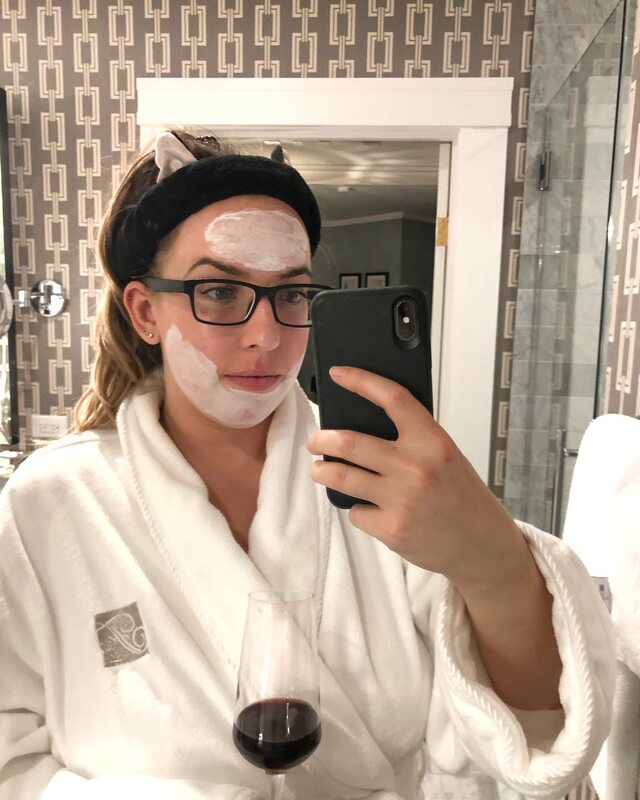 If you enjoy this content, definitely browse through some of my other skin care posts before you go. Thanks for compiling this list! I’m not allergic, but this is good to know. I figured carrageenan was Irish (I’m from Ireland), but had no idea that it is the name of a seaweed!! We do love our seaweed though. I also had no idea that it is used in so many products. I am now living in another seaweed loving country – Japan – and seaweed is in everything here too! This is great to know! I personally have never had a reaction to sea weed in any skincare, but it definitely is a good reminder to always check the ingredient list. Wow! I’m not allergic that I know of, but my son is skin is very sensitive. I will be mindful now that you made this list. Thank you so much! This is so interesting! i keep telling myself I need to start a consistent skin care regimen but this is something I’ve never actually heard of before.